Adam co-founded and currently serves as Chief Operating Officer for P4 Security Solutions LLC. His responsibilities include strategic growth initiatives, finance, risk mitigation, and company policies. Adam’s dedication to the field is demonstrated by his commitment to professional organizations. 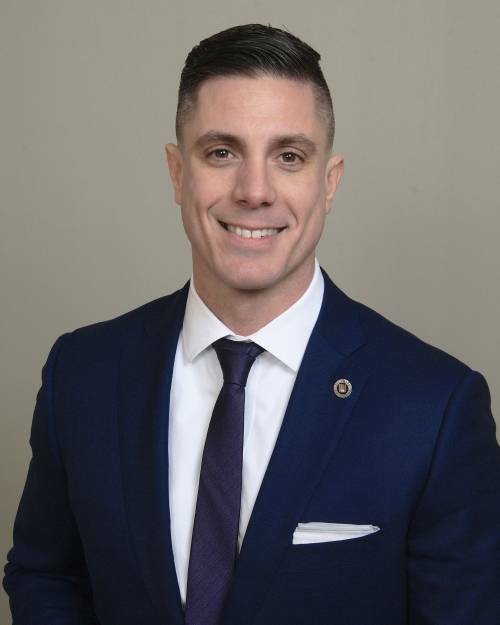 He is currently a consultant to the board and a past president of the Illinois Security Professionals Association (ISPA). As President of ISPA, Adam was instrumental in recruiting the association's first executive director and saw association growth soar during his term. Adam also is an active member of the ASIS International Special Agents Association. Adam has worked in the security industry for over 15 years and began his security career working for Target Corporation. At Target, Adam was responsible for security, safety, loss prevention and operations . Adam oversaw a geographic region that covered the north side of Chicago and surrounding suburbs. Within this territory were stores that generated over $400 million annually and employed over 2,000 people. In 2012, Adam transitioned out of the retail sector into contract security with Securitas Security Services USA. With Securitas, Adam was responsible for one of the largest portfolio's in the region consisting of vertical markets such as commercial real estate, data centers, manufacturing, healthcare, construction and retail. Adam saw much success with improving security operations, business development and portfolio profitability. Adam is very committed to the growth and evolution of the security industry. His passion for training and development of security personnel, education and awareness of clientele and provided value-added integrated strategic security services are at the forefront of the company's vision.